A compound considered as half amino acid and half vitamin, carnitine is naturally produced by the human body from two amino acids, lysine and methionine and it serves a number of functions inside the body. There are two main forms of this compound found in the human body: L-Carnitine L-Tartrate and Acetyl-L-Carnitine. Whereas L-Carnitine L-Tartrate is stored in just about every part of the human body, but it is mainly found in the muscle cells and heart. Meanwhile, Acetyl L-Carnitine is mainly found in the central nervous system, specifically the brain. Your body's preferred source of energy is carbohydrates or glycogen (the longer chain version of glucose) stored in the muscles and the liver. Your body has a limited store of glycogen and it lasts at the max 1.5 hours of exercise. As your carb/fuel store runs out, you crash, but carnitine tartrate interferes with your muscle glycogen supply and prompts it to start burning fatty acids for fuel. 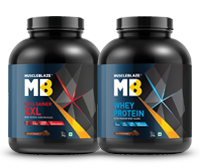 By sparing your muscle glycogen, carnitine increases your workout length and intensity. Each time you exercise, fatty acids are freed. This can result in weight loss, provided those fatty acids reach mitochondria, where they would be burnt for energy. However, the challenge is that there is not enough carnitine present in large enough amounts to facilitate the shuttling of freed long-chain fatty acids. Supplemental carnitine ensures that mobilized fatty acids are sent to mitochondria for getting processed as energy, as opposed to going back into adipose tissue as fat. Carnitine is also helpful in melting belly fat, one of the most difficult fat to lose. Belly fat leads to fat gain within the organs, such as the liver, the heart or even in the muscle. Raising your carnitine level will help you fight this visceral fat by transporting triglycerides and low-density lipoproteins (LDL) to mitochondria for getting burnt for energy. When you exercise or work out intensely, your body uses oxygen to produce energy in the body known as aerobic respiration, but if you push yourself harder during a workout, your body is not able to meet the increased energy demands. Under such situation, your body resorts to an anaerobic respiration to produce energy and lactic acid or lactate is a by-product of anaerobic energy production. A buildup of lactic acid in your muscles during a workout can create burning sensations in the muscles that can slow down or halt your athletic activity, which is true even for weekend warriors. 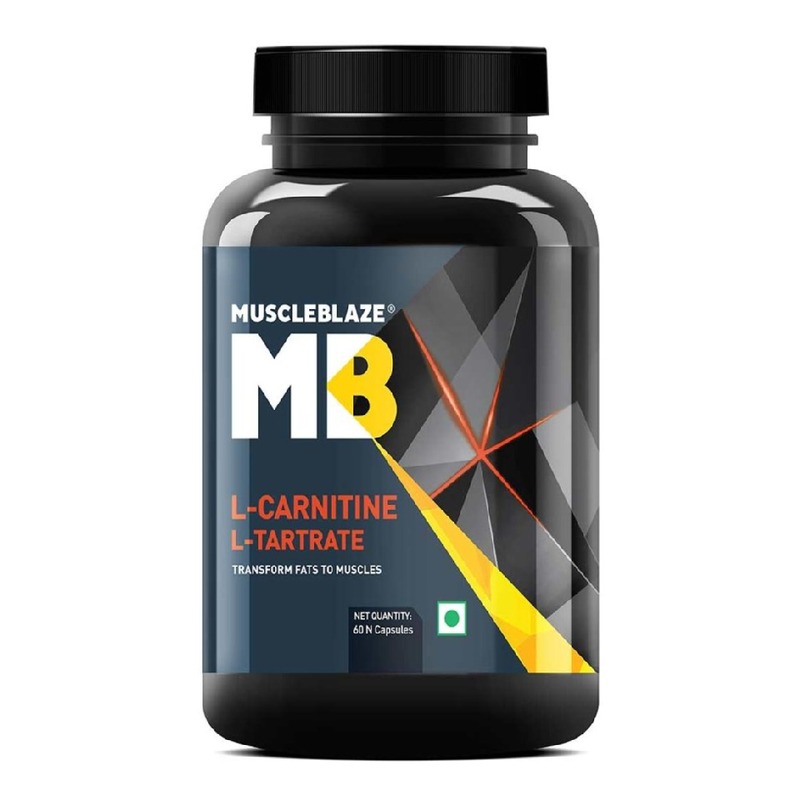 Many studies go on to establish the efficacy of L-Carnitine L-Tartrate in reducing lactate accumulation in muscle groups. Preliminary studies have shown that carnitine supplementation switches the source of energy to fatty acids from glucose. For athletes, this means lowering of the respiratory quotient and the outcome manifests in the greater endurance of athletes. 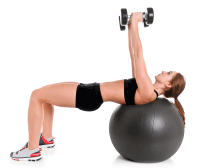 If you want to build bigger muscles, you need to exert them enough, causing minor wear and tear. Following up your work out with the whey protein shake will give them protein, the necessary ingredient to repair and rebuild those muscles. Essentially, your workout length and intensity determines your muscle building capacity. And here, you will find that supplemental carnitine is useful in keeping your energy level amped up. Building muscles is closely linked to your workout length and intensity. For weight trainers, carnitine supplementation means lifting more weights with more reps.
Carnitine supplementation limits the production of lactic acid in your muscles, a byproduct of anaerobic respiration and responsible for the reduction in your workout performance. Hence, carnitine supplements allow you to work out more intensely, that helps you build more muscles. If your main goal is fat loss, then the best time to take carnitine is with the largest meal of your day. If your primary goal is muscle growth, performance, or recovery, then the best time for you to take carnitine is before and after your workouts. Include carnitine in your supplement stock and make the most of your workouts, both in terms of muscle building and fat loss.